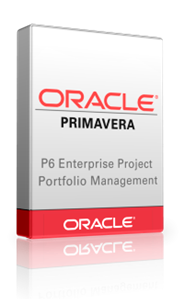 Primavera P6 Enterprise Project Portfolio Management is an integrated project portfolio management (PPM) solution comprising role-specific functionality to satisfy each team member's needs, responsibilities, and skills. This 100% web-based solution can be used to manage projects of any size, adapt to various levels of complexities within a project, and intelligently scale to meet the needs of various roles, functions, or skill levels in your organization and on your project team. The solution enables project-driven organizations to achieve a competitive advantage through Enterprise PPM (Project Portfolio Management). With Primavera, organizations will be able to better execute amid economic uncertainty, respond quickly to unexpected changes, and create value for their organizations and stakeholders – all through effective optimization and management of projects, programs, portfolios and people.